The whole series is rather ridiculously pro-war, isn’t it? I guess that has to do with when it was written, but there’s a lot of demonizing the enemy and calling out anyone who tries to remain neutral. Well, much as I love this stuff (shh…), I do think it’s an interesting fantasy. It’s a world where race is real and substantial mental and physical differences go with it. Some peoples are inherently evil and some inherently good. That kind of social Manicheanism is something that normally makes the hair on the back of my neck stand up. This isn’t to say that I’ll be protesting the Hobbit, or seeing it less than a dozen times, really, but it does mean the themes may be revealing a little more than meets the eye. Thanks for the comment. This is an old one, wrote it back before anyone had noticed this blog. I’m a fan of Terry Pratchett, who claimed to have sympathized with the orcs and trolls because they had no chance of ever bettering themselves. His portrayal of trolls in the Discworld series seems to have been inspired by this. 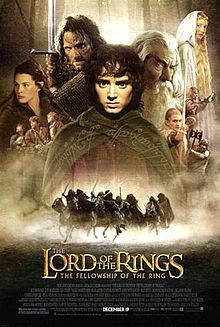 Anyway, I enjoy Tolkien’s work, but I don’t necessarily agree with all of its themes.